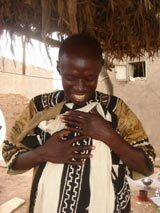 Bogolan is a traditional West African dying technique. 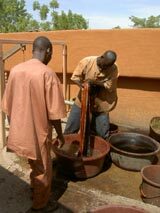 The word “Bogola” is a Bambara term, language spoken by about 10 million people living along the Niger River borders. 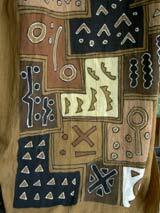 It literally means “the effect of mud” on cloth.The legend says that a woman accidentally discovered this technique. 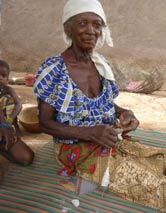 She stained her “pagne” cloth on the way back from the river. She unsuccessfully tried to wash it. The mud dyed permanently the fabric.Each piece is handmade and a unique creation, 100% pure cotton coloured with dyes made from the soil, bark and leaves according to traditional recipes. Each piece is handmade and a unique creation. By promoting Bogolan items, Fairly Covered supports economic development of Malian villages and West African art more generally.